As majestic as Ireland’s coastline appears, its vast stretch of emerald pastures and medieval villages contain their own Irish charm. Situated in the south east of Ireland, the medieval city of Kilkenny is about a two-hour drive from Dublin. One of its notable assets, its black marble, is actually a fine quality limestone that when polished imitates the luster of marble. Located in the county of the same name, Kilkenny’s remnants of ages past surpass most others while an immersion of the present provides more than enough adventure to fill the days. 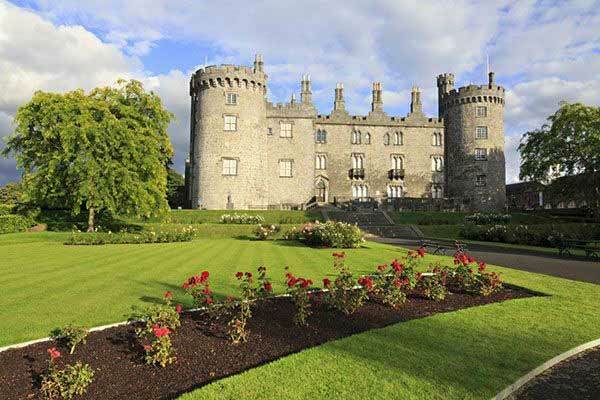 Spend three days in Kilkenny and its surrounding areas and get a taste of Ireland at its best. Get to know this walkable city, paved with the high gloss cobblestones, and begin with The Medieval Mile. With most cities touting a few historical relics, Kilkenny’s gems stretch an entire mile, beginning at the city’s center at Kilkenny Castle and reaching to St. Canice’s Cathedral. A Medieval Mile Pass ($44 for a day pass) is available providing free admission and discounts to many of the attractions. It can be purchased at the chamber of commerce or online. Frankly, taking one’s time without pushing to get through all the venues in one day will allow you to get the most out of the experience. Spend the day exploring over 800 years of history. Begin at Kilkenny Castle where the Butler family, who arrived after the Norman Invasion in the late 1100s, owned this majestic property for over 500 years. Upon entry, pick up a guidebook that walks you through the rooms, explains the architecture, and points out historical significance. Don’t miss the 21-acre gardens that frame this relic. 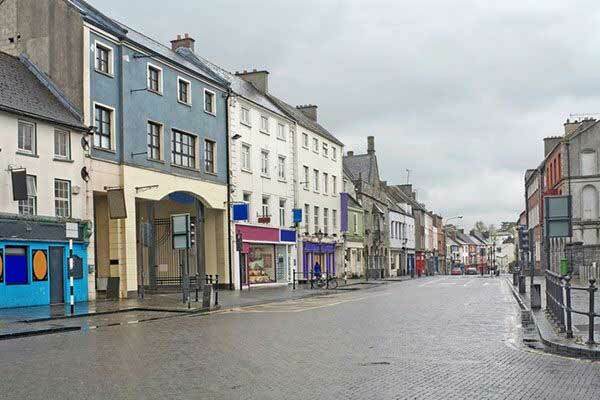 From one end of the route to the other, plan your time wisely, ensuring you don’t miss these notable sites: St. Canice’s Cathedral (climb the Round Tower), St. Mary’s Cathedral, The Black Abbey (over 760 years old), Rothe House & Garden, and end the history lesson with a stop at the Medieval Mile Museum off High Street. Although ancient, the cathedrals still observe mass. During any visit, be respectful of the surroundings. End the day with another dose of history. Open the wooden door to craic (pronounced crack and meaning fun). More than likely you’ll hear its festivity before you experience it at Kyteler’s Inn, one of the oldest pubs in Ireland. It’s been around since 1324 and still serves a hearty beef stew with a pint of brown ale to wash it down. As tasty as the stew will be, it’s the live music that will rejuvenate the body after a day of trekking about the town. It’s always a good day for a road trip, and hitting the backroads of Ireland is an adventure. Less than a thirty minute drive to the final destination, make a stop just north of the city at Dunmore Cave. A Viking massacre took 1,000 lives in these ruins as the barbarians moved toward Waterford. 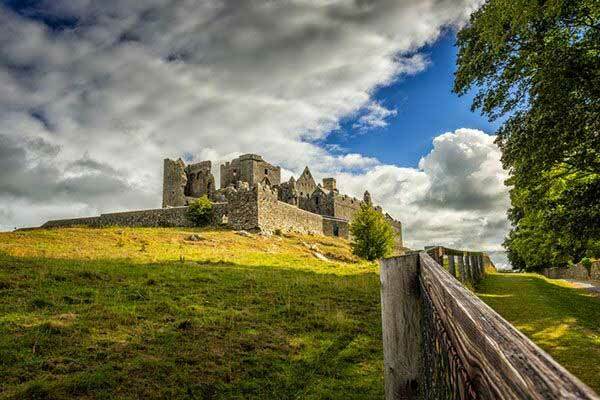 About a 45-minute drive west of the cave, drive through the small village of Cashel on the way to the Rock of Cashel, one of the most significant historical sites in all of Ireland. Located in County Tipperary, the Rock, also called St. Patrick’s Rock, rises from the emerald green countryside as a stronghold against invasions and was used for worship until the 1700s. One of the last Romanesque chapels in Ireland and home to many frescoes and paintings, Cormac’s Chapel was built as a royal chapel by Cormac McCarthy, king of Munster in 1134. The largest structure, St. Patrick’s Cathedral, was begun in the 13th century. Admission is $9 and guided tours are available; access to Cormac’s Chapel is by guided tour only and it is wise to call ahead to reserve a time. Taking the southern route back to Kilkenny, it’s time for a taste of the Irish spirit at Ballykeefe Distillery. It’s a grain-to-glass operation for the Ging family, who now opens their doors as Kilkenny’s first distillery in over 200 years. Winning international awards for their Poitín, Vodka, and Gins, it’s a must-sample experience. Distillery tours run twice daily, Monday through Saturday. It’s a new day in southern Ireland, and it’s a day to taste what makes the medieval city so appetizing. Labeled as Irelands Top Foodie Destination of 2018 by the Restaurants Association of Ireland, Kilkenny’s food scene is primed with local producers offering the best in artisan foods. If time permits, experience Cooking Classes at Eden Hall. Demonstrations, tastings, and hands-on participation will inspire and be the ultimate travel memento. Richenda, Cordon Blue trained, will instruct in Eden Hall’s 18th century kitchen. Classes last between 90 minutes and three hours, Monday through Saturday. Pricing begins at $50. Much like the local operation of Ballykeefe Distillery, Highbanks Orchards produces organic syrups, ciders, vinegars, and spirits from orchard fruits. Taste and Tour and listen to the story of five generations share tales of apple harvest. The farm offers tours Monday through Friday. There’s also family history at Goatsbridge Trout Farm, where their passion for the fish is out-of-this-world. Caught daily from the little Arrigle River, the fish stars in the farm tours, where the family shares about the farming system and the art of smoking and processing, plus a few tastes of the delicacy. Tours run Monday through Friday with reservations. Visit their website for some amazing trout recipes. If there’s still room in that belly, here are some savory choices for dinner: Aroi Asian Street Food, located on Friary Street; Truffles for casual, flavorful dining; and, Ristorante Rinuccini, a family owned, multi-award winning Italian restaurant. 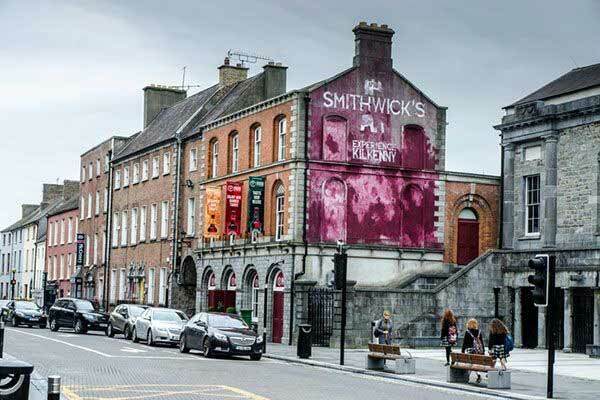 However, if you want to end the day in true Irish style, walk the medieval mile to the Smithwick’s Experience, sure to leave you craving more from your Irish holiday. A dual that has been alive as long as the brews, the Smithwick (pronounced smid-ic) and Guinness debate will rage forever. For many, this red/pale/blonde ale of 300 years reigns, and will always reign, as the country’s best, and you’ll have to sit and sip for a while to make your own determination. One-hour tours run daily. Three days simply isn’t enough time to experience Kilkenny; however, it is enough time to fall in love with this medieval city that will call for your return soon.